Looking at the different talent evaporators around the sport, many will peg the Mets farm system in the lower third of farm systems. There are a myriad of conflicting and reasonable opinions why this exists. There is the fact that over the past few seasons, the Mets organization has seen top prospects like Noah Syndergaard, Michael Conforto, Brandon Nimmo, and Amed Rosario graduate from prospect status. Knocking names like these off your lists is going to take a toll on how your farm system is perceived. There are those like Kevin Kernan of the New York Post, who surmises the Mets have made a series of mistakes in the draft that include drafting Gavin Cecchini over Corey Seager and drafting L.J. Mazzilli over Cody Bellinger. While either or both of these may be true, there may be an alternate explanation. What if, the Mets are actually drafting the right players, but they are failing their prospects by failing to do what is needed to help cultivate each prospect’s talents to get them to reach their full potential? Consider for a moment, the difference between Keith Law’s 2017 and 2018 prospect lists. In Law’s 2017 rankings, he had listed Mets prospects Rosario (1), Dominic Smith (29), Thomas Szapucki (60), Robert Gsellman (76), and Justin Dunn(84) in his Top 100. (ESPN Insider). This year? Well, only 2017 first round pick David Peterson made the list. (ESPN Insider). Now, it is true Rosario, Smith, and Gsellman are no longer considered prospects. It is also true Szapucki and Dunn have dropped off the list. Their dropping off the list does seem to answer the question why the Mets prospects are not developing with way many believed they would. They probably pushed him too far to high A just speaking in hindsight, but also there were a lot of issues with his fields of pitch, with his fastball command, with lack of life on the fastball that you almost look — and again, this is all hindsight, but you look and say, nobody caught that? Nobody on the player development side looked and said, well, hey, wait a minute, here are two things we’re going to have to work on in instructional league last year in spring training this year, before sending you out to high A, which is normal for a typical college draftee, but maybe not for him. Really, it is quite an indictment on the Mets organization to say they completely missed something on a top prospect during the Instructional Leagues, and the team also failed to address the issue during a season in which Dunn would go 5-6 with a 5.00 ERA. As we saw with Law’s rankings, seasons like this tend to cause evaluators and organizations to begin re-assessing their opinions of certain players. This is not something unique to Dunn. Certainly, we saw something similar happen with former first round draft pick Kevin Plawecki. Entering the 2015 season, the Mets were excited about him, and when Travis d’Arnaud got hurt in April, they rushed Plawecki to the majors. Over the next few seasons, he would bounce between Triple-A and the majors. In that time, he would never quite progress. That was until last year, when he finally had a prolonged stretch in Triple-A. Judging from his performance last year, that helped him figure things out and help him enter the Mets plans for the 2018 season. Certainly, the mismanagement of the development of prospects goes further than Dunn and Plawecki. The same could be said for someone like Cecchini, who after two very good years in 2015 and 2016, completely regressed last season, and his status on the 40 man roster is now teetering. While the Mets handling of prospects like Dunn and Plawecki are instructive. The situation with Szapucki is equally as enlightening. After dominating opposing batters in his first two professional seasons, Szapucki first appeared to take small step back with Low-A Columbia. Eventually, it was discovered Szapucki had a torn UCL requiring season ending Tommy John surgery. They have had a ton of injuries on the farm, too. 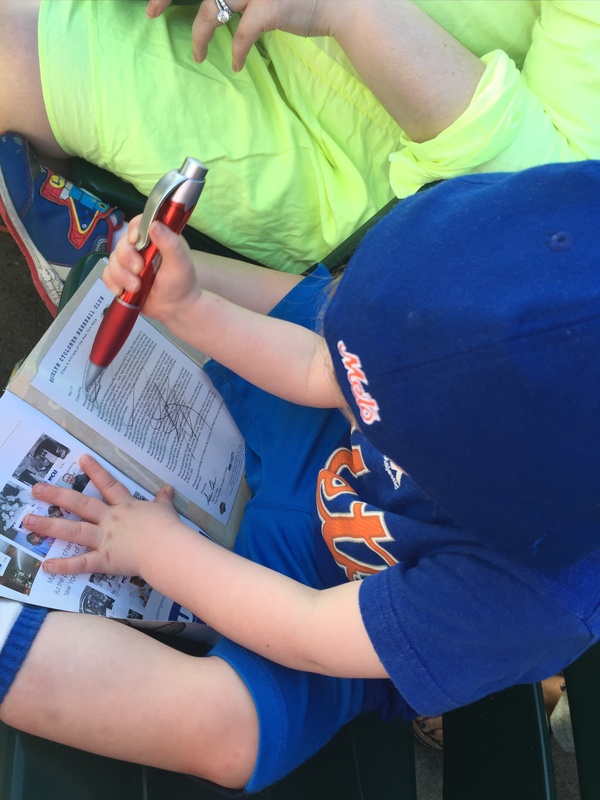 I’ve written the Mets’ org report already. 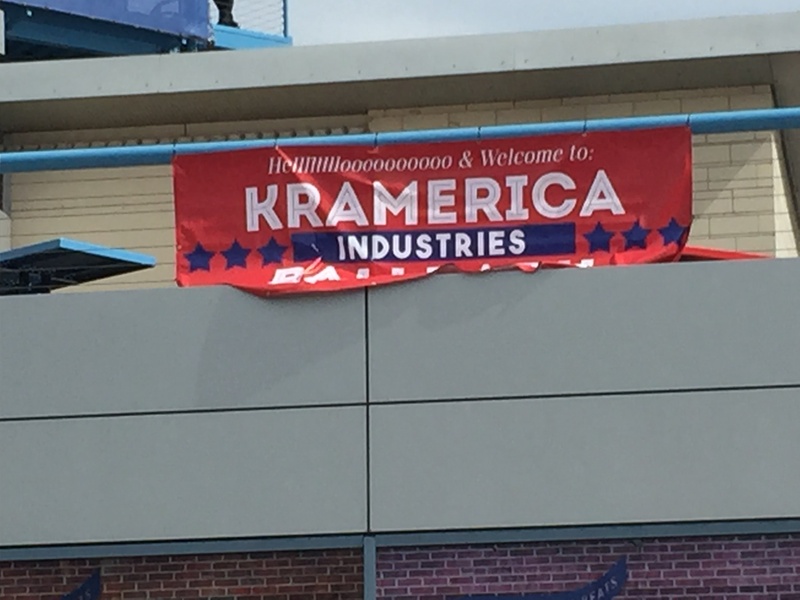 I think it goes up on Monday. And I’m struck by how many guys were hurt, are coming back from getting hurt, guys who haven’t come all the way back. Luis Carpiois a good example of a guy who I thought was going to be a pretty good prospect at least, threw out his shoulder, had surgery, and has just not been the same player since he returned. So some of this is health, and I don’t know if that’s player development, the training staff, or just rotten luck. Really, it goes much further than Szapucki, Humphreys, Tiberi, and Carpio. Catcher Ali Sanchez has had hand injuries in successive seasons. Desmond Lindsay has had issues staying on the field, and he needed major surgery last year. Jhoan Urena effectively lost two seasons of development time to injuries. Even rising star Peter Alonso has suffered broken bone injuries the last two seasons, which given the Mets current track record, should give everyone pause. It should surprise no one the list goes on and on from there. Looking at everything, maybe you still conclude the main issue is the graduation of prospects. It’s still possible many believe the real issue is the inability to select the right player. Regardless of your point of view, the one thing that cannot be discounted is this Mets organization is having difficulty keeping players healthy, keeping them on the field, and surrounding them with the things they need to succeed. 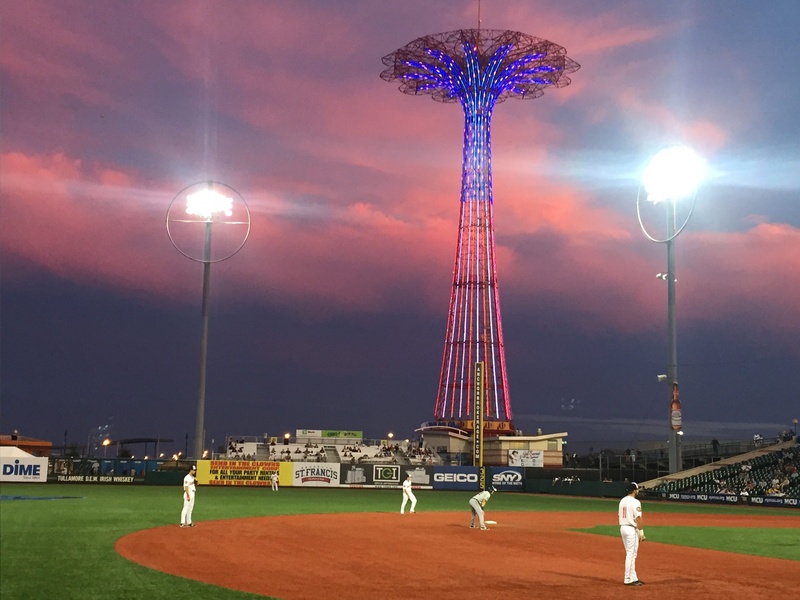 With the 2017 MLB Draft having begun and the Mets selecting David Peterson and Mark Vientos in the first two rounds, now is a good time to review the selections the Mets made last year and check-in to see how these players are progressing. The one thing that really stands out with all of these players is the inordinate amount of injury issues the Mets have had with these players over the past two seasons. Still, despite this, there are a number of players who have shown real talent and provide hope for the future for the Mets organization. Paez has shown the type of power that led the Mets to draft him. So far this season, he leads the Sally League in doubles, and he is top five in total bases. So far this year, he is easily having the best season out of all the 2016 draft picks. A hot start for McGeorge this year led to a quick promotion to St. Lucie where he has continued his dominance out of the bullpen. Whereas last year, left-handed batters hit well against him, he has become a platoon neutral pitcher. More than that, McGeorge is learning how to put batters away with a huge increase in his strikeout rate. There is perhaps no Mets prospect that has shown more improvement than what Kuhns has shown this year. He has learned how to control his pitches, and more importantly, he has learned how to attack hitters. He has started to become the team’s primary option at closer, and he has been named a Sally League All Star. After he was drafted last year, it was discovered he needed Tommy John surgery. It is not likely we will see him pitching in the minor leagues until next season. Similar to Dunn, the Mets rewarded Alonso for an outstanding season in Brooklyn by having him skip Colombia and having him start the year with St. Lucie. Also like Dunn, Alonso has struggled this year. We have not seen the same power from him that we saw last year. It should be cautioned that may be the result of his having suffered a broken hand earlier in the season. It is hard to glean anything from Tiberi as he had suffered a torn UCL requiring him to have season ending Tommy John surgery this May. Woodmansee was the standout shortstop in the New York Penn League last year. Although he cooled off after a hot start, he still showed enough to skip Columbia and begin the year in St. Lucie. Unfortunately, after his first two games, Woodmansee needed surgery to repair a core muscle tear, and he has been reassigned to Brooklyn. After a promising start to begin the season, Holderman struggled, and eventually found himself on the seven day disabled list. The undisclosed injury has kept Holderman out since April 29th, and it is still unknown when he can return. Zanon got off to a hot start showing the ability to not only get on base, but to utilize his terrific speed. Unfortunately, for the second straight season, he has not played a game since leaving an April 10th game after being hit in the helmet. While it is not known if it was related to the beaning or last year’s torn labrum, Zanon is on the seven day disabled list, and it is unknown when he can return this season. After a promising half season with Brooklyn, Dunn skipped Colombia and started the season with St. Lucie. Dunn struggled, and he was temporarily moved to the bullpen to help him figure things out. In his first start back in the rotation, he pitched five scoreless innings with no walks and seven strikeouts, which seems to indicate he’s back on track. Cone has a refined approach at the plate, and he has the ability to get on base. However, at this point in his career, he is not hitting for much power. In order to progress further, he is going to have to start driving the ball more. Rizzie has certainly lived up to his billing as a defensive minded catcher who struggles offensively. While he is sound behind the plate, his 28% caught stealing percent this year is disappointing for someone who’s calling card is defense. After struggling in the infield last year, he was transitioned to the outfield. It’s been difficult to find him playing time with a lot of players in Columbia who command playing time, Tim Tebow included, and the fact that he has not maximized his limited opportunities. After struggling with St. Lucie to start the year, he was demoted to Columbia where he has pitched much better. While it was surprising Atkins had reverse splits last year with his 3/4 delivery, that has normalized this year with left-handed batters teeing off on him this year. Still, there is promise for him with him holding right-handed batters to a .188 batting average against in Columbia. After an outstanding season for Brooklyn last year, the Mets decided Cornish should be transitioned to the rotation. His start to the season was delayed as Cornish was suspended for 50 games for testing positive for amphetamine use. His is off to a strong start to the 2017. Sergakis got off to a hot start to his professional career, but he soon fell off, and he became a part-time player. While he has made the most of his opportunities this year, he has not yet done enough to crack the starting lineup on a consistent basis. The one thing that really stands out for Viall is his ability to strike out batters. A large part of that is his ability to get his fastball up to 101 MPH. In college, he split time between the rotation and the bullpen. For now, the Mets are keeping Viall in the rotation. My interview with him can be found here. After a partial season pitching out of the bullpen, Torres will be used as a starting pitcher this year. The Mets were prudent with this high school arm that they were surprisingly able to sign last year. He will likely being the season with one of the partial season affiliates come the end of the month. The only thing we have learned about Cleveland is the pre-draft reports of him struggling with consistency and control proved to be true in his seven innings for Gulf Coast. Labelled as a power pitcher, James certainly lived up to the billing with a dominant year with the Gulf Coast Mets. While Johnson’s stats looked ugly, it should be noted it was mostly the result of a terrible July. Those six appearances aside, he had a 2.70 ERA and a 1.00 WHIP. Essentially, he had a strong start and a strong finish which give you reason to believe the developing pitcher could still put it all together. Strom’s game is speed, and he best utilized it last year in the outfield where he was named Kingsport’s Gold Glover. The 18 year old out of Puerto Rico is a project in terms of developing more consistency in every aspect of his game. Once he develops more consistency, we may be better able to gauge exactly what he could be for the Mets. Like Rivera, he is a project that needs to develop physically. The hope is that once he does begin to mature, his fastball velocity will increase from the low 80s towards the upper 80s or somewhere in the 90s. Despite coming out of a Division III school, Wolf was seen as a polished hitter. He certainly proved that last year for Kingsport. Somewhat surprisingly, Wolf was not assigned to a full season affiliate. This may have been a result of him being blocked by Alonso and the Mets wanting to get another look at Dash Winningham at Columbia. Bryant is a raw pitcher with some talent who for the first time this year will be solely focusing upon baseball. There is a possibility he could both harness and refine his pitches leading to him taking a big step forward this season. When Tim Tebow took the batter’s box against reigning American League Cy Young Award Winner Rick Porcello, we could all guess what was going to happen. Tebow struck out, and he didn’t look particularly good doing it. In fact, Tebow didn’t look particularly good in any aspect of the game on Wednesday. Overall, Tebow was 0-3 with a hit by pitch, two strikeouts, and a GIDP. The only time he got on base via the hit by pitch, he was doubled off of first. Simply put, Tebow did not look like he belonged out there. Most Single A players don’t look like they belong out there either. That is traditionally why most players in the lower levels of the minor leagues do not play until towards the end of the Spring Training games. If you put a lower level minors player out there against the Porcellos of the world, they are most likely going to look bad up there. Heck, major leaguers look bad at the plate against Porcello. That’s partially why Porcello won the Cy Young Award. However, with Tebow it’s different. It’s different because of the attention. Seriously, who gets a round of applause after they hit into a double play? It’s different because Tebow has always been a lightning rod. It’s different because Tebow decided to play baseball after not having played the sport in over a decade and after it was made clear his football career was over. As Terry Collins said, “What he’s attempting to do, not a lot of guys would even try.” (Anthony DiComo, mlb.com). It’s different because some people believe Tebow is taking someone else’s spot. That last one simply isn’t true. Minor league systems are full of “organizational guys” who are signed so each team can have enough guys to fill out a roster. In terms of this Spring, Tebow wasn’t even the first prospect to get into a game. David Thompson, Blake Tiberi, Luis Carpio, Kevin Kaczmarski, Luis Guillorme, Patrick Biondi, Wuilmer Becerra, Peter Alonso, Arnaldo Berrios, Gene Cone, John Mora, Colby Woodmansee, and Ricardo Cespedes are all Single A players who got into Spring Training games this year before Tebow. Overall, Tebow’s presence has not prevented anyone from getting into a game that the Mets deem worthy of getting into a game. Guess what? 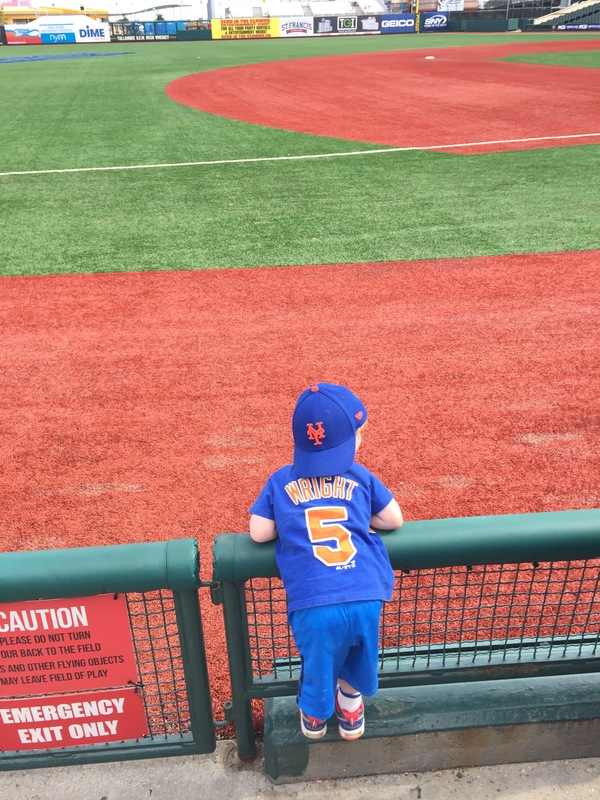 There is no way the Mets are going to let Tebow get in the way of another more deserving prospect. The Mets aren’t dumb. If Tebow is willing to put in the work, he just might be able to catch up. If he does catch up, he moves away from being a sideshow the Mets are profiting from to being a minor leaguer who is looking for his next call-up. 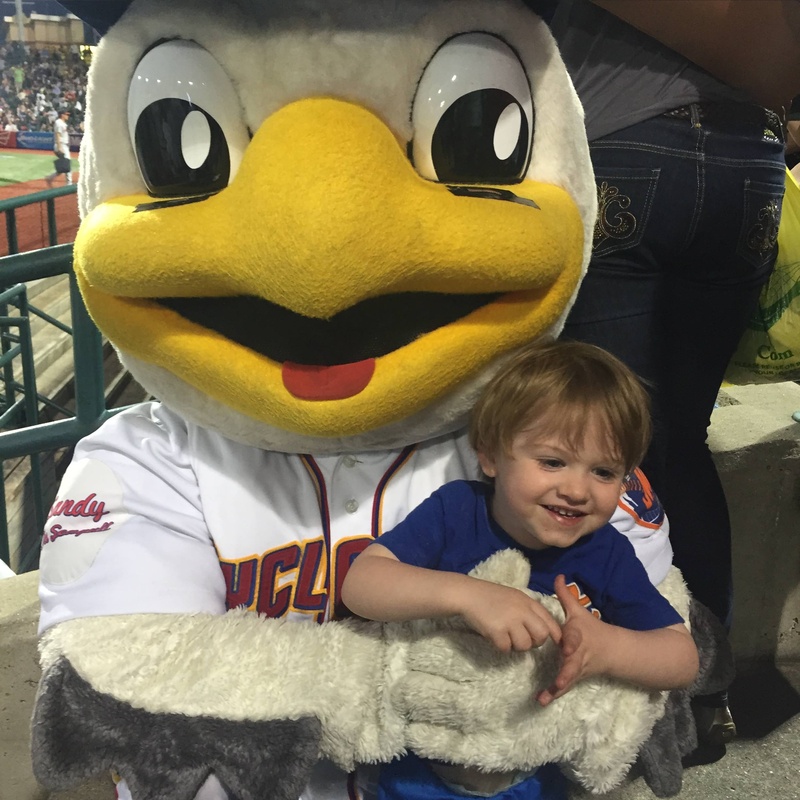 On July 2nd, my family was able to attend a Brooklyn Cyclones game courtesy of Nicco Blank. 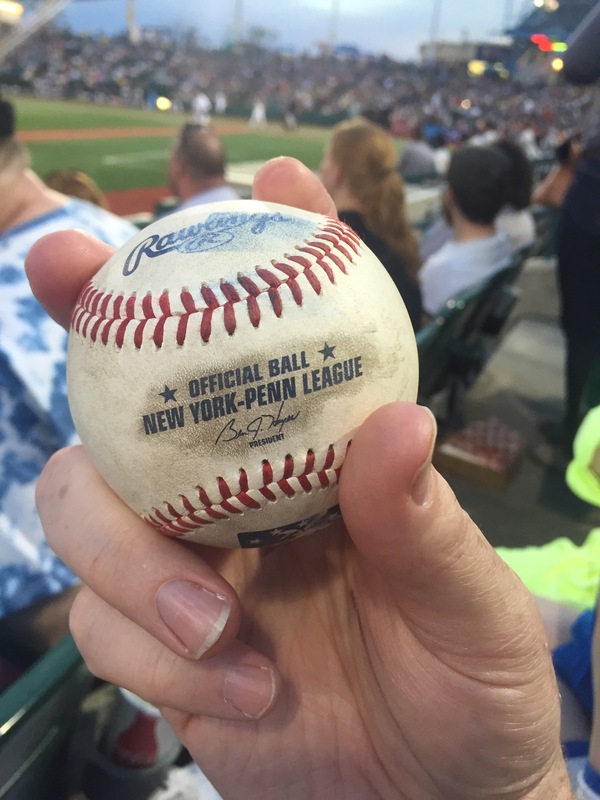 With him getting called-up, he was able to leave us tickets to attend a Cyclones game while he left seats for Taylor Swift for the Columbia Fireflies game. Overall, it was a great experience, and my family is grateful that Blank was able to arrange for my family to get tickets to the game. 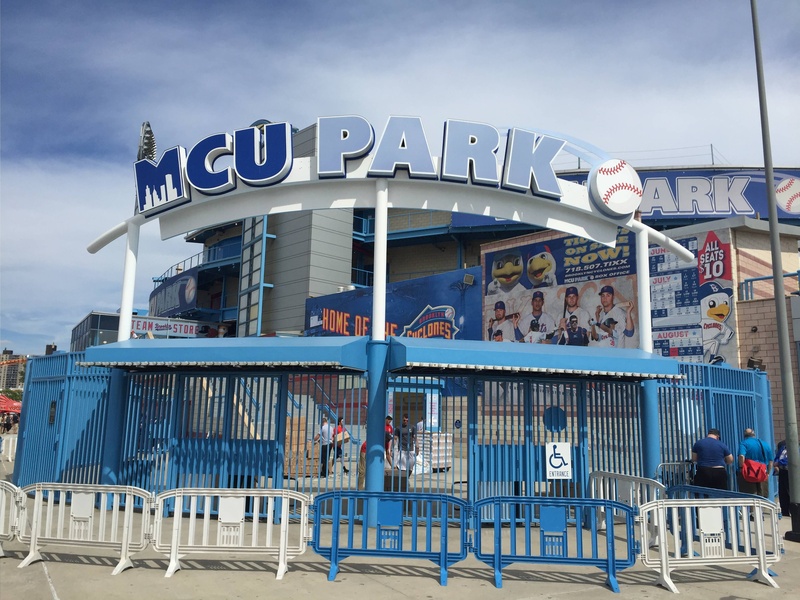 For those that have never attended a Cyclones game, MCU Park is located at the end of the Coney Island boardwalk. The Original Nathan’s Famous is within walking distance if you want to get a pre-game meal, and you very well might as there is no outside food allowed in the boardwalk. Security does check. Also, it should be noted that most of the concessions located within the ballpark is cash only. It should also be noted that MCU Park charges major league prices at their concession stands. Once you have had your pregame meal, it is time to head over to the ballpark. 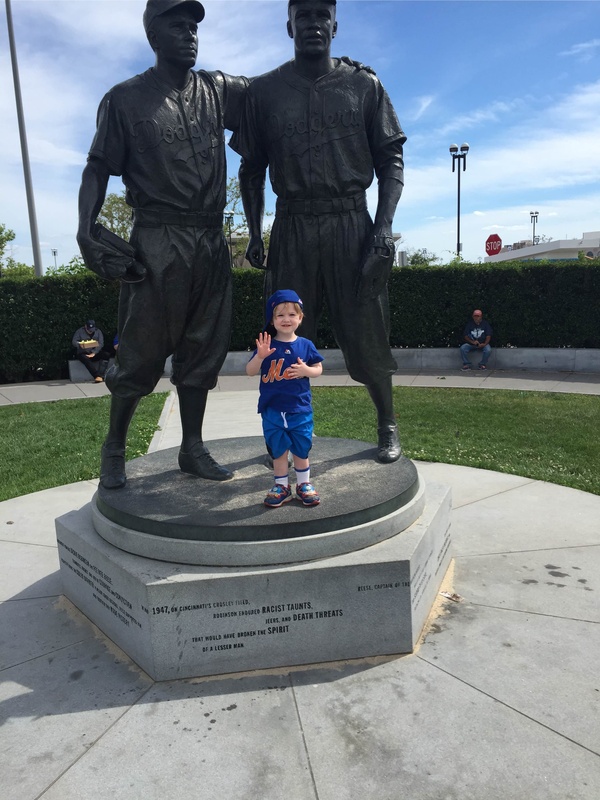 Right outside MCU Park is a statute of the moment where Pee Wee Reese put his arm around Jackie Robinson. It is quite fitting this statue is in Brooklyn as this is the city in which Robinson broke baseball’s color barrier. The particular moment, whether or not it actually happened, is quite fitting as it symbolizes not just Robinson being accepted by his teammates, but also by all of baseball. This area is a good meeting spot and place to sit in the relative shade until the balllpark opens. 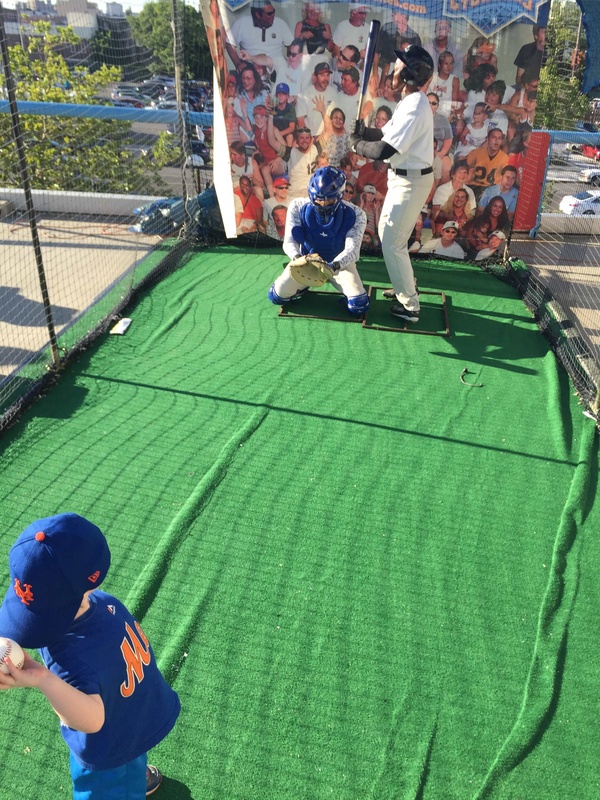 Tickets to the ballpark range from $12.00 – $19.00, which would similar to the cost of Promenade seating at Citi Field. However, due to the fact that this is a minor league ballpark and there is only 7,000 seats, your seats are going to be much better than the seats you would get at Citi Field. Fortunately, we were able to sit very close due to the generosity of Nicco Blank. One of the benefits of being so close and being at a minor league park is you are close enough to get autographs seemingly no matter where you are sitting. Most, if not all of the players, are ready, willing and able to provide autographs. My son was quite fortunate as many Cyclones players, including Colby Woodmansee, Darryl Knight, Harol Gonzalez, Blake Tiberi, and others, signed my son’s Cyclones pennant. In particular, Knight stood out in his efforts to sign autographs for everyone despite the fact that his left arms was in a sling. Personally, I was hoping to snag an Edgardo Alfonzo autograph, but that was not in the cards for the day. I will say that it was nerve wracking at times being that close to the field with a two year old. 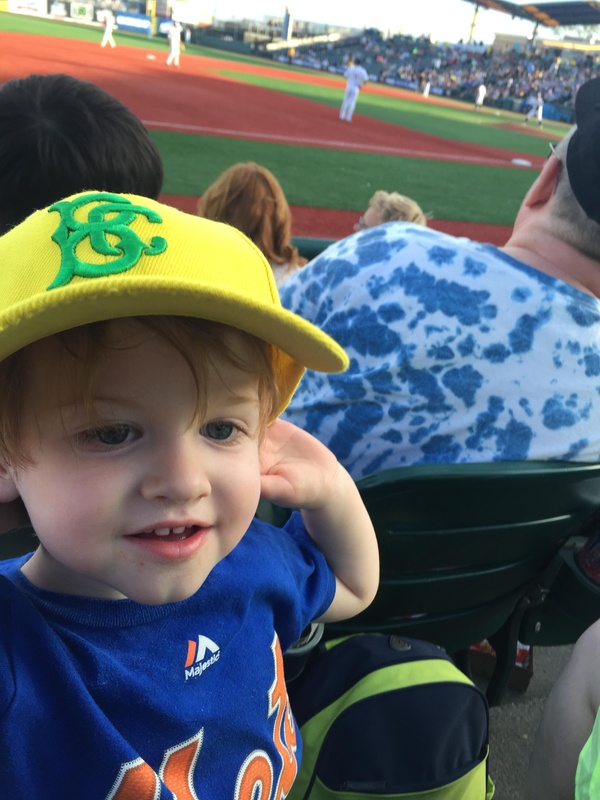 While my son is good and will sit to watch a game, his attention span does wander at times because he wants to see what’s happening as all two year olds do. 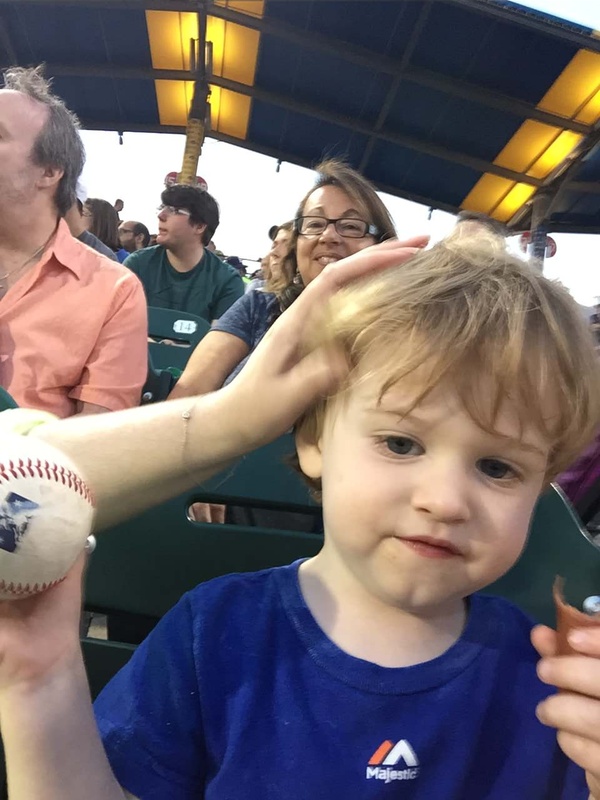 Considering how fast the foul balls were coming in, I did take some time to go around the ballpark to see if there were other things for my son to do. Considering, I spent $4.00 on a pen, the $2 hat was a welcome surprise. 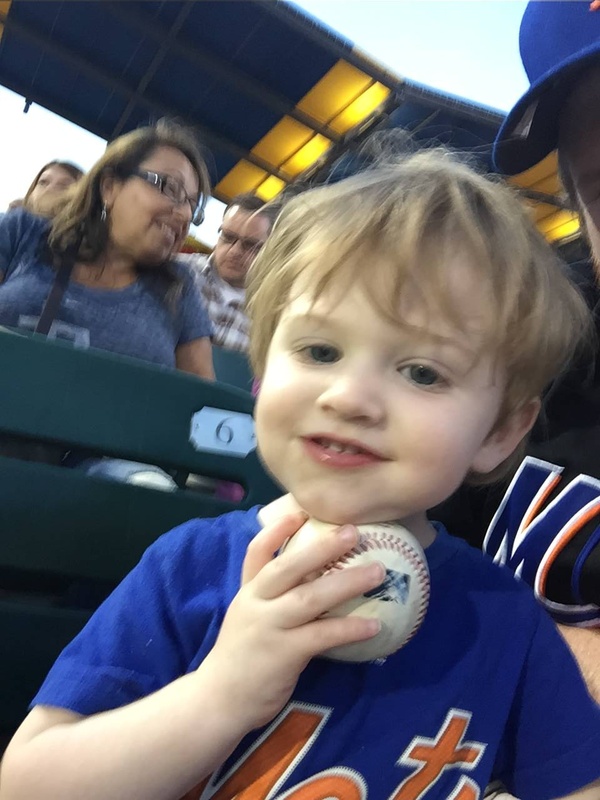 Honestly, I’m not sure if this, winning the hat, or catching the foul ball was the highlight of the night for my son. 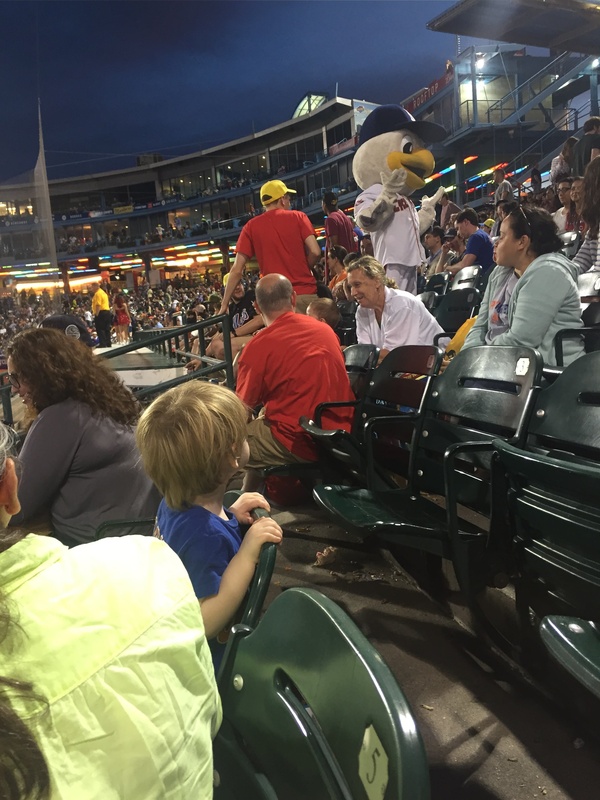 But that’s the thing about attending a Cyclones game with your children – it’s a fun experience. Everyone, Taylor Swift included, should go out and see a Cyclones game to enjoy a great night at the ballpark. We enjoyed every minute of it, and we thankful to the Cyclones for creating such a family friendly atmosphere and to Nicco Blank for giving us the tickets. In any event, by the time we got to the car, I knew little about the game. I knew Bartolo Colon started the game. I knew Neil Walker hit a two run homer. I knew the Mets were up 4-3. I was just fuzzy on the rest of the who, what, where, when, or why about the other five runs that scored. There was another thing I knew. Jeurys Familia was going to close it out. So far this year, Familia is a perfect 28 for 28 in save chances. He has a career 2.49 ERA, 1.182 WHIP, and an 8.9 K/9. He has a career 149 ERA+. He’s consistent. He’s durable. He’s the best closer in the National League, and he’s amongst the best in baseball. As a fan, he’s a closer that gives you confidence. That’s a rare feeling for Mets fans. Sure, John Franco usually got the job done as evidenced by his 424 career saves. That’s the most for a lefty closer. That’s also 424 times he gave some poor Mets fan a heart attack for his Houdini acts. He was supplanted by Armando Benitez. Benitez was as dominant as they come unless he was facing Pat Burrell, Paul O’Neill, the Braves, or any team in the Month of September or October. Billy Wagner was tremendous until he faced the immortal So Taguchi. 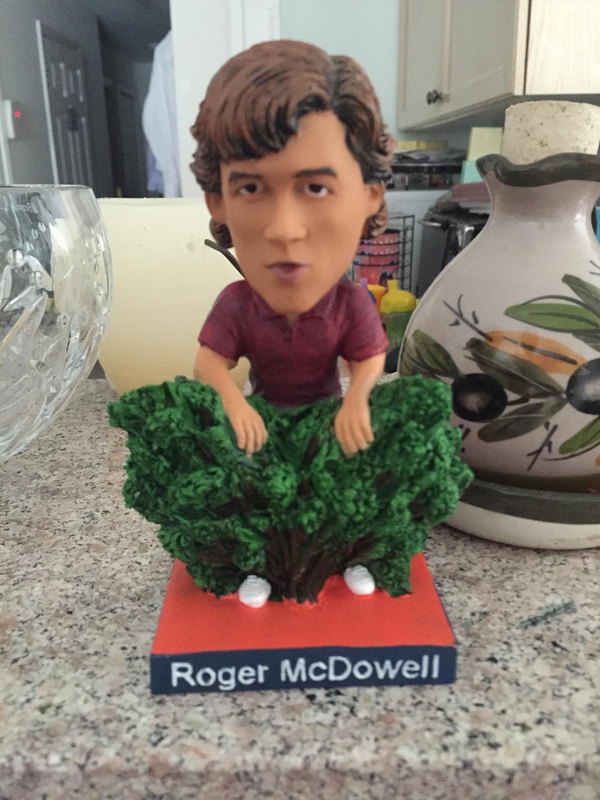 Jesse Orosco and Roger McDowell were a bit before my time. About the only closer I can come up with during my time I had any confidence in was Randy Myers. Back in 1988 and 1989, he was great as the Mets closer. You had confidence when he took the mound. It was the opposite feeling when the Mets brought in Franco to start the 1990 season as the closer. It began a 14 year high wire act that was followed with the Benitez’s and the Braden Looper‘s of the world. It’s been 18 years since the Mets had a closer they can trust not to give everyone a minor stroke when they take the mound. Familia is different than his predecessors. When Familia enters the game in a save situation, he’s getting the save. He typically does it without giving you a heart attack. When he enters the game, you know he’s converting the save. It’s about the one thing I knew for certain about the Mets game yesterday.